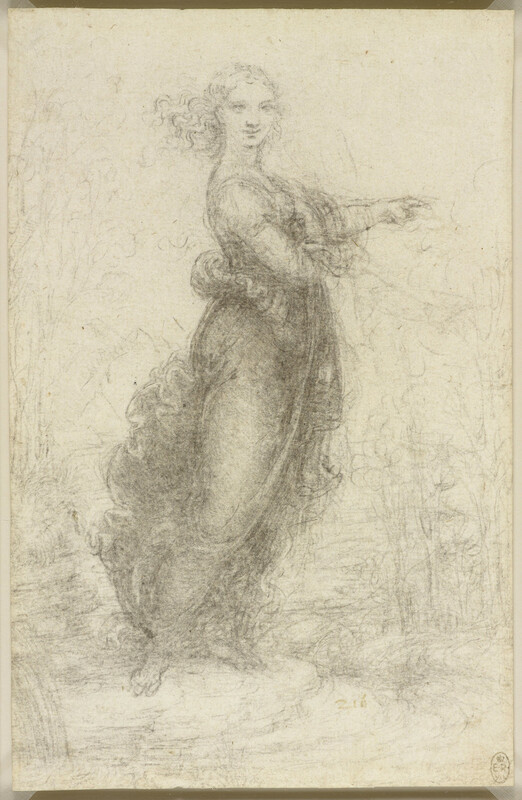 A drawing of a woman standing in a landscape, with her body turned to the right, and her head turned to face the spectator. She wears full drapery, which blows out behind her in elaborate folds. Her right hand rests on her breast and with her left hand she points into the distance.